Death toll from airstrikes: 9 dead from Monday night, 2 dead on June 27, 12 dead on Tuesday at 1430 GMT. 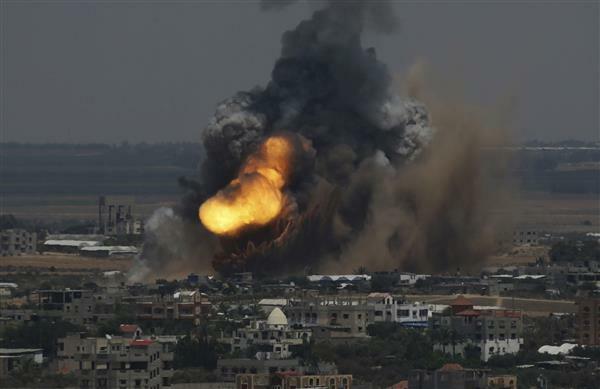 Number of airstrikes launched on Gaza: 131 since Friday. Tel Aviv municipality spokesperson tells @AJEnglish they are preparing bomb shelters, but they have not been opened to the public. In Kfar Azza on Gaza border, big booms of artillery from Israel into Gaza. Followed by code red siren. The Arab League has called for the UN Security Council to hold an urgent meeting to discuss the deadly Israeli air campaign against Gaza, Secretary General Nabil al-Arabi said. An official from the pan-Arab bloc told AFP news agency that Arabi had "instructed the Arab League's UN representative to initiate urgent consultations within the Arab group calling for an emergency security meeting of the Security Council." Arabi said he had been "in touch with president Abbas to follow the latest developments in the Gaza Strip" while also continuing "consultations with Arab foreign ministers on this subject." He denounced the "dangerous Israeli escalation" and warned against its humanitarian consequences in Gaza. "The continued attacks on Palestinian civilians by Israel is a flagrant violation of international humanitarian law, the Geneva Convention and international resolutions on occupied Palestine," said the Arab League chief. Latest death toll: 12 total in airstrikes. Three Qassam members travelling in car in Gaza City (including Qassam commander Mohammed Shaaban) killed in drone strike. Seven civilians at a family home in Khan Younis. 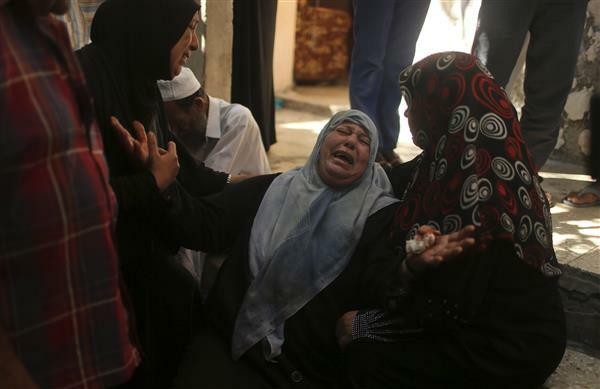 At least 1,500 troops have already been deployed around the perimeter of the Gaza Strip. An Israeli Apache helicopter shoots a missile over the Gaza Strip. Al Jazeera's Stefanie Dekker, reporting from Gaza said that keeping track about the number of airstrikes has become increasingly difficult. "There is an extreme concern and fear here among people in Gaza, especially with the concern of a 'ground invasion', which hasn't happened since 2008-2009. The people have no place to go, and they don't control their borders, and reside in a densely populated city." 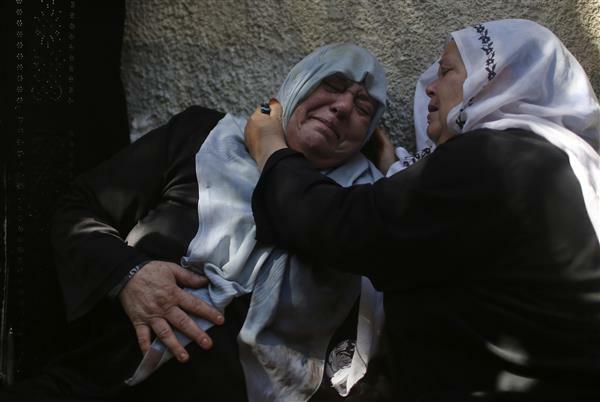 She added that civilians pay a high price in Gaza because Israel claims that the rocket fire come from residential areas. Over 80 people we injured today - with many of them being fighters but also a number of civilians. As Israel continues to pound Gaza with air strikes - carrying out 50 bombings overnight and more throughout the day on Tuesday - Medics have expressed concern about the capacity of the territory's hospitals to attend to the injured. 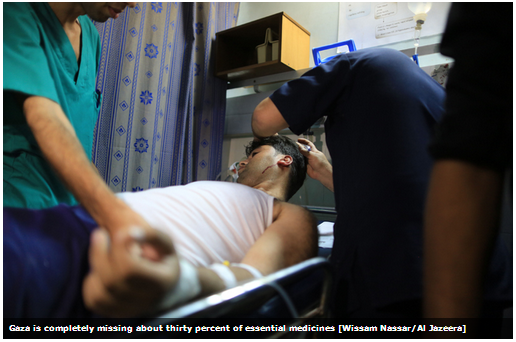 Read more on how Gaza hospitals are struggling to treat wounded. Reuters, citing medics, has reported that funerals were held for the two Hamas fighters killed in a caar struck in Gaza City. Updated death toll (as of 1530 GMT): Fourteen killed. The death toll includes six fighters and eight civilians - three of them children. Sirens going off in Jerusalem. The Israeli army has said that its soldiers have killed four Palestinian gunmen who slipped into southern Israel by sea from the Gaza Strip, an attack which Hamas has claimed responsibility. 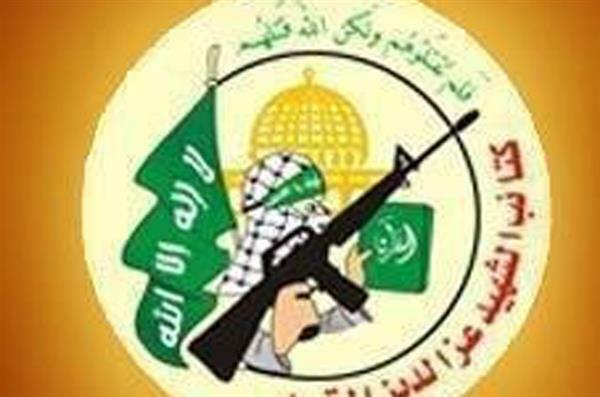 Hamas said it was in telephone contact with the commander of the squad that stormed Zikim beach and that he was exchanging fire with the army. 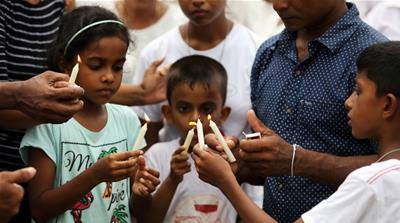 Peter Lerner, an Israeli military spokesman, said four gunmen were killed by combined fire from troops, the air force and the navy. Israeli forces were still searching the area. He did not say whether the gunmen had swum in or landed by boat. Lerner said an Israeli soldier had been wounded in the incident, which he described as rare. 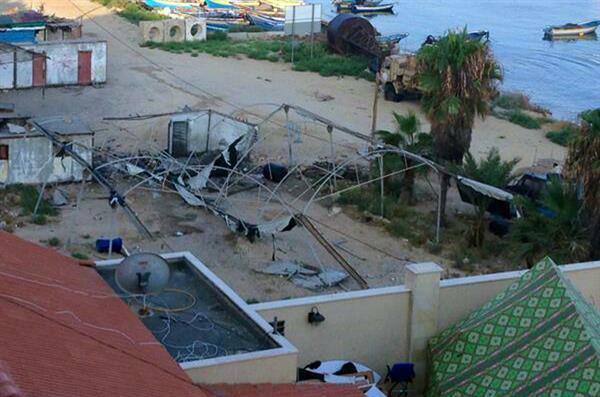 The Israeli military keeps Gaza under tight naval cordon. Despite Hamas' announcement that it rocketed Haifa, no sirens were heard in the northern port city and there are no reports of impacts. Hamas says for the first time used R160 rocket to fire at Haifa, 150 miles north of Gaza. 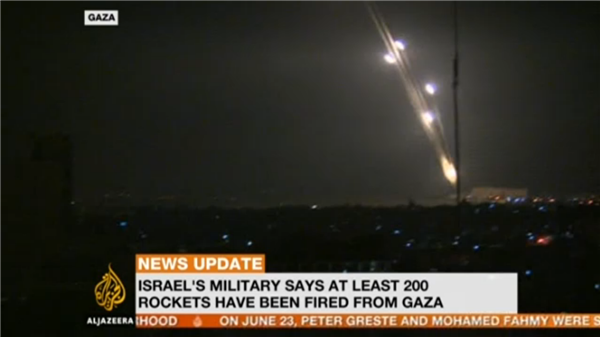 4 M75 rockets fired at Jerusalem. Speaking to Al Jazeera, Paul Hirshorn, the deputy spokesperson for the Israeli Foreign Ministry continued to blame Hamas for the escalation. 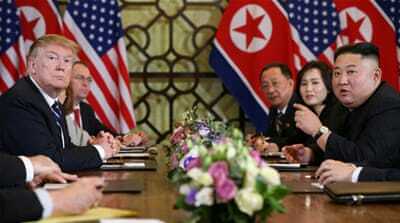 "We were reluctant to participate in an escalation. The Palestinian people are not our enemy, this is an issue with Hamas." He blamed the Palestinian government for ruining negotiations by "getting into bed" with Hamas. "There's a deal awaiting to be done." Palestinian President Mahmoud Abbas appeared on Palestinian TV on Tuesday to appeal for international help as the conflict between Israel and Hamas continued to escalate. "I have been in communication with many different parties during the last few days, regionally and internationally, and especially with the Palestinian factions and leaders from the Hamas movement, warning them that the Israeli government wants to take the situation to a violent circle, and all those I have spoken to reiterated that they are for the continuation of the truce and against escalation. What's happening in the Gaza Strip, the West Bank and East Jerusalem is not a war between two armies. The Palestinian people are an unarmed people, people who live under occupation. It's time now for the international community, and especially the Quartet and the Security Council, to take their responsibility to guarantee the international protection of our people." The Israeli military has released footage of what it says are Palestinian fighters coming ashore on a beach in Israel, just north of Gaza, and attempting to attack an Israeli base. Nisreen el-Shamayleh reports on that incident and the Israeli build up for their offensive in Gaza. Latest line from Reuters: Air raid sirens have been heard in Tel Aviv. 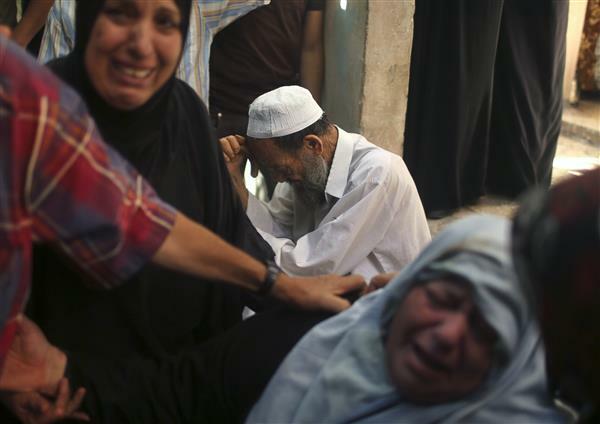 Al Jazeera recaps previous Israeli offensives in Gaza. The latest line from Reuters: The Israeli army claims to have shot down two rockets heading for Tel Aviv using its Iron Dome anti-missile system. 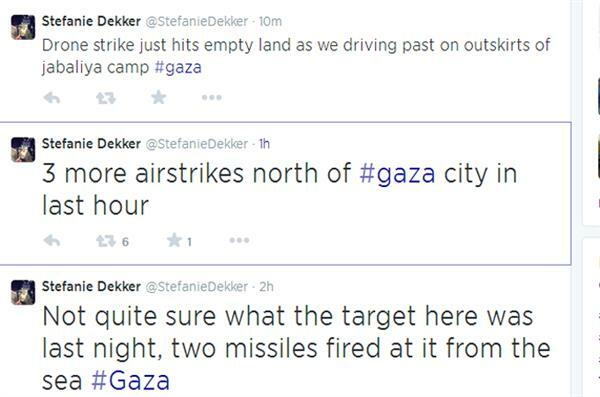 For the latest from the ground in Gaza, follow our correspondent Stefanie Dekker on Twitter. 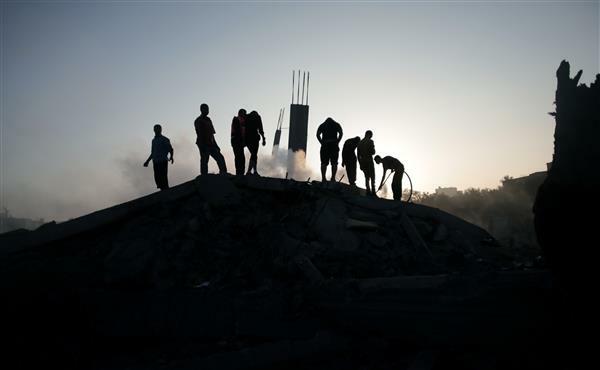 Israelis living near the border with Gaza say rocket attacks have hardened their attitude towards Palestinians living there, as Nick Schifrin reports, some even go to hills to watch and take photos of bombing raids in Gaza. The Qassam Brigades, the military wing of Hamas, claimed responsibility for the four rockets launched at Tel Aviv this morning. The group said in a statement that the rockets were M-75s, a locally-produced model with a range of about 80km. The spokesman for the Israeli Prime Minister, Mark Regev, tells Al Jazeera that Hamas is "directly responsible" for civilian casualties from Israeli bombing raids in Gaza. 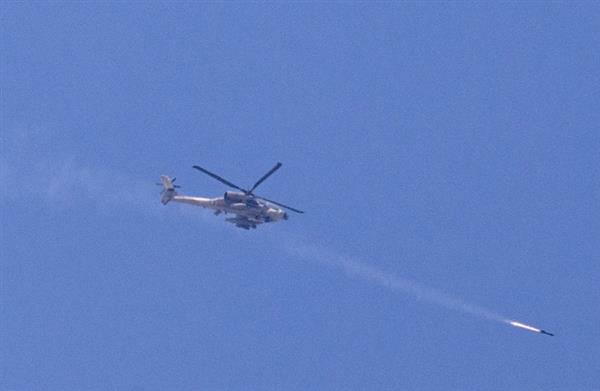 Regev said the armed group had embedded itself among the civilian population in the besieged area. The conflict would go on until there was a "different reality, where people don't have to live in fear of rockets." Palestinian fighters in Gaza launch three rockets towards Israel’s Dimona Nuclear Reactor, according to the Israeli military. 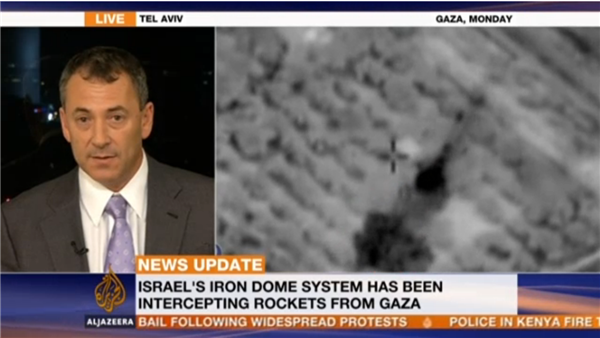 One of the rockets was intercepted by Israel's Iron Dome defensive shield, and two others fell in open areas, it said. It did not specify how close the rockets fell. The continuation of Israel's hostility is something we are used to, however this has to be stopped. The Arab League on a ministerial level or on the summit level took the decision that the world has to aim at stopping this conflict and not to continue administering the conflict like what is happening currently. I am not only calling on the Security Council to take the necessary decisions, but also for the United States to put pressure on Israel to stop. The US urged Israel and the Palestinians to de-escalate the Gaza tensions and expressed concern for the safety of civilians on both sides. State department spokeswoman Jen Psaki told a briefing that the US secretary of state, John Kerry, had spoken earlier in the day to the Israeli prime minister, Benjamin Netanyahu, and planned to speak to the Palestinian president, Mahmoud Abbas. Psaki said US officials had been "encouraging all sides to de-escalate the situation," restore calm and take steps to protect civilians. "We are concerned about the safety and security of civilians on both sides," she said, referring to "the residents of southern Israel who are forced to live under rocket fire in their homes and the civilians in Gaza." Palestinian diplomats are pushing for a meeting of the UN Security Council to gain a statement or resolution against Israeli attacks in Gaza. We convey to the Security Council in the strongest terms our opposition to this outrageous aggression. We express the outrage of our people and demand the Security Council acts immediately to hold those responsible to account.